Everlong Whippets is located in Northeastern Wisconsin. We have been involved in purebred dogs since 1994, and have owned Whippets since 2010. I am a Certified Veterinary Technician and my husband is an Agriscience Instructor so it is only fitting that dogs are in the center of our world. We began actively competing in conformation shows in 2014 after acquiring our beautiful Ch. Rusalka I Saw Her Standing There, “Sookie”. We have been fortunate to work with many great mentors as we have established our beginnings. Our foundation is courtesy of the wonderful Jennifer Beach-Buda at Rusalka Whippets located in Central Iowa. Our goal is to improve the Whippet breed as a whole and ensure that there are happy, healthy Whippets around for future generations. We care deeply not only in producing quality dogs that meet the AKC standard, but also those who are healthy and of sound temperament. Our dogs are apart of our family and are first and foremost our companions. Ch. Rusalka What A Rush finishing her championship with flare by taking BOS at the beautiful AWC supported Amana shows in Iowa. Thinking ahead about future endeavors and breeding goals not only motivates me, but fuels my passion for this breed. My hopes moving forward are to earn my Breeder of Merit Participant recognition, become more involved in performance sports, and continue to meet fellow breeders, enthusiasts, and fanciers. Everyday brings new lessons to learn and fun to be had. We are more than happy to answer any questions you may have about our dogs or the Whippet breed. 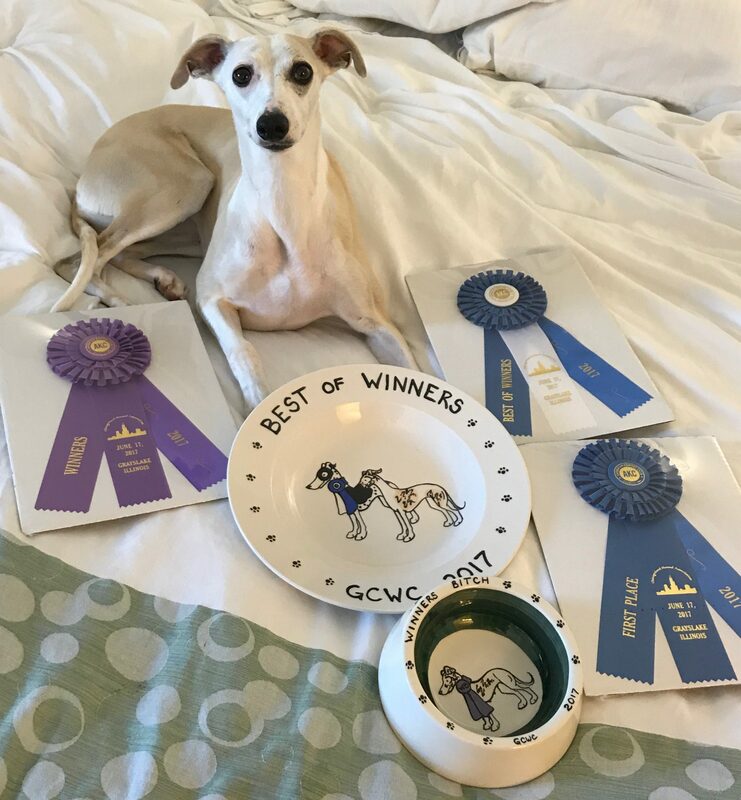 As a responsible breeder and advocate for canine health, I encourage prospective Whippet owners to contact us and visit our dogs to learn more. Please visit the American Whippet Club website for more resources.